1. Download and install Sandboxie. I will not guide you through this--it should be straightforward enough as it is. 2. Run Diablo II sandboxed, to create the initial directory to work from. Sandboxie should load an icon down in your system tray. Right-click it, select DefaultBox --> Run Any Program. 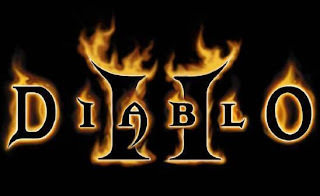 Browse to your D2 folder, and select Diablo II.exe. Use any command line parameters you wish (-w most likely). This will start D2 within the sandbox. Now, connect to Battle.net and then exit D2. You don't have to enter any account info or anything, just connect once. 3. Edit in your other cd key. For this step, you need to have an already-refilled cd key. You can use Serby's (for 16 digit keys) or a fresh install (for 26 digit keys) for this. Copy d2char.mpq and d2sfx.mpq from your original D2 folder to your sandbox folder. The default path for this is "C:\Sandbox\<username>\<sandbox name>\drive\<install path to d2>". For me, it was "C:\Sandbox\lord2800\DefaultBox\drive\D\Diablo II". In an MPQ editor (I recommend Ladik's MPQ Editor), open the mpq containing the cd key you want the sandboxed D2 to run. This can be a refilled key or an original install. Copy data\global\chars\am\cof\amblxbow.cof, data\global\sfx\cursor\curindx.wav, and data\global\wavindx.wav from this mpq (if you're using the fresh install method, the first file is in d2char.mpq and the second two files are in d2sfx.mpq). Open the d2char.mpq you copied to the sandbox folder. Copy amblxbow.cof into the same folder structure (so you're replacing the file in the sandboxed mpq with the file in the refilled mpq). You should not need to change any of the settings. Then open d2sfx.mpq, and copy curindx.wav and wavindx.wav into it. You must use the following settings when copying these two files in: Add as --> Data file, Encrypt file --> Yes. Selecting those two should automatically change Compression method to Compress. Leave it as that. 4. Start D2 in the sandbox again. You should now be able to run two copies of D2--one of them via Sandboxie (the same Run Any Program option), and one of them normally. If you want to run three copies, you must make another box, and repeat this process from step 1.